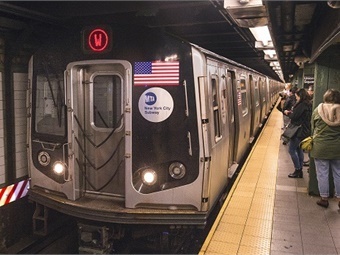 New York City Transit President Andy Byford unveiled what some agency board members regard as a bold plan to bring the most critical parts of the subway system into the 21st century in just five to 10 years as opposed to the previously projected 40 years. The plan will close stations overnight and temporarily inconvenience millions of riders for the sake of completing a full install of Communication-based Train Control to replace the century-old analog signals across multiple lines. In Queens, the No. 7 train will see a complete install of CBTC in 2018 alongside the L line, followed by the E, M, F, R and G trains in the next five years, and then installations will begin on the N, R, W and A within 10 years. But the price tag may be shocking to some with an estimated $19 billion needed in the coming years. MTA board member Veronica Vanterpool backed Byford’s plan during Wednesday’s meeting regardless of the potential “sticker shock” expected to go along with any major spending to bring the subways into a state of good repair, especially since she believes the usual budget of $3 billion per year is not sufficient to run the agency, which serves 8.6 million people per day as a whole. The Wednesday announcement follows plans to expand service in November on the A, D, E and F lines in the hours after the morning and evening rush by one to three additional trains on each line. Buses will also get a boost in Queens with the Q6, Q8, Q29, Q47, Q49, Q101 and the Q65 slated for increased service on Saturdays starting in July to meet high demand. But Byford’s plan is not the only major improvement plan from the MTA. Long Island Rail Road President Phil Eng unveiled a plan to rescue the commuter line from the decline in service it experienced throughout 2017. The nation’s biggest commuter railroad will be bringing improvements to the system by adding countdown clocks currently in operation at 116 stations, with a full roll-out by the end of summer, and repair 10 problematic switches attributed to 44 percent of the 205 failures in 2017, including one at Jamaica Station. “LIRR Forward is the first formal step in a new direction that will help us anticipate our problems before they arise, set standards on how to quickly and correctly respond to the challenges we face, to deliver what our ridership expects of us – which is safe, reliable service bolstered by timely, accurate and effective communicat­ion,” Eng said. A report by state Comptroller Thomas DiNapoli claims the Long Island Rail Road had the worst on-time performance in nearly two decades in 2017. With up to 9.2 million riders inconvenienced, the regional economy sustained about a $75 million loss in productivity throughout the year, with an on-time performance of 91.4 percent, which had not been seen since 1999, according to DiNapoli. January 2018 was the worst month for the LIRR in 22 years, making a slight recovery in February. The plan also aims to reconnect the city’s traffic grid east to west and north to south. Lastly, the plan proposes opening up the city’s waterfront by razing all or a portion of the former Amsterdam Mall, which Mott MacDonald calls a “cork” that blocks traffic. This would allow access to the river and the city’s economic potential. • Relocation of the West Main Street Amtrak station to one of two locations near downtown and build railroad platforms and a mixed-use multimodal station, which would include retail space, coffee shop, a newsstand and a Taste of New York location; cost, $20 million. • Design of the project and contingency planning; cost, $8 million. • Removal of the Route 5 bypass and other road improvements; cost, $5 million. • Property acquisition; cost, $1 million. The first element of the plan would need to be the removal of the Route 5 bypass, which Villa said for him is the key to the whole project. The Common Council on May 15 voted to hire Chazen Companies for $7,500 to help assist the city with applying for a $450,000 grant from New York state. The grant would help pay for a $517,000 study to finalize plans for the multimodal center, a necessary step before applying for larger state and federal grants to fund the project. Amsterdam’s local share of the study would be $67,500. The history of what happened to Amsterdam’s downtown is almost as complicated as the traffic system built to accommodate it. Daily Gazette columnist Bob Cudmore listed the changes in chronological order in a 2007 column titled “Memories of a Vanished Downtown.” In the column Cudmore cited author Hugh Donlon’s 1980 “Annals of a Mill Town,” which listed the many changes to Amsterdam’s downtown in the name of urban renewal. • The first highway modernization of Route 5S on the South Side, which was relocated in 1956 from the former Bridge Street business district to its current location on higher ground near the Thruway, that opened in 1954. • Construction in 1960, of the four-lane Route 30 stretch from the Thruway to the Mohawk River, with demolition of 30 buildings. Route 30 on the North Side from the river to the top of Market Hill was completed in 1968. • Construction of the Mohawk River Bridge in 1973. During the 1970s other changes were completed, including relocation of the train tracks, moving the train station to its current location and creation of another four-lane highway section for Route 5. • Construction of the Amsterdam Mall, now known as the Riverfront Center, begun in 1973. The mall opened in 1977, but construction continued on parts of it into the 1980s. A large portion of downtown was torn down to build the mall, which carved up the city’s main street, leaving the eastern side somewhat blocked by the mall from the western side. Jackie Murphy, former Montgomery County historian and a member of the Historic Amsterdam League, said the city has long suffered from poor planning decisions, like those inspired by the philosophies of Robert Moses, an influcial downstate public official in the mid-20th century who advocated urban renewal projects that often emphasized highway construction over public transit. “Whatever he said was gospel and he thought these malls were the way to go, and the city just went along. That’s how it’s been our whole civilization,” Murphy said. Gerry Snyder a retired mechanical engineer, and co-founder of the Historic Amsterdam League, said altogether the urban renewal projects in Amsterdam razed 400 buildings and effectively, “tore out the heart of the city when they tore down the downtown.” He said all of the changes made to Amsterdam’s downtown made traffic flow a nightmare and cut off the city’s southside on the other side of the Mohawk River. Murphy’s complaints against misguided planning go back to the mid-19th century when the railroad was built and large portions of the city’s riverfront were acquired by the railroad companies. “This is one thing that really gauls me, I’ve lived along the river my whole life and I’ve never put my toe in it, because of the railroad,” Murphy said. Snyder and Murphy both expressed skepticism about the multimodal project. Snyder said he isn’t against progress, but the city has been “sold a bill of goods” by experts in the past on the basis of progress. “It’s probably not necessary to have [the Route 5 bypass] there, I find it convenient myself, but it does create a barrier to the waterfront and that’s supposed to be the direction that everyone is trying to head these days, trying to develop the waterfront,” Snyder said. Murphy said she doesn’t know whether residents of Amsterdam would support construction of a multimodal station downtown. Snyder said the goals of the proposed project are laudable. But he is skeptical of the details. Reach Gazette Reporter Jason Subik at jsubik@dailygazette.net. Dumping a whole lot more G train riders into the transfer to the E and M lines is likely to leave little room for existing Queens Boulevard line riders. During the upcoming L train shutdown set to begin in early 2019, the MTA expects 70 to 80 percent of displaced L riders to take other subway lines. This will affect not only those displaced riders, but all the commuters who currently take the lines that will become filled with L refugees. This week, the Village Voice examines the impact on the E, F, M, and R lines. Click here for previous editions and other L train shutdown coverage. The E train doesn’t have any extra capacity — it’s already at its upper limit, thanks to its unaccommodating terminal at the World Trade Center. The MTA knows this, which is why the authority picked the E for a pilot program in which it removed some seats to increase capacity by about a hundred riders per train. As recently reported by AMNY, the MTA isn’t sure if this pilot program accomplished much; but it was worth a try, as there weren’t many other options. This is unfortunate for those of you who ride the E, but it will be even worse once the L shuts down in April 2019. That’s because the E runs through one of the major transfer hubs of the shutdown, Court Square in Queens, which I have written about before. To recap, displaced L riders heading north of 14th Street will likely opt to take the newly increased G service up to Court Square and transfer there to the E, M, or 7. The M will get three extra trains per hour to help with this load, but the E will not; it already runs fifteen trains per hour, according to internal MTA documents, the most possible given the line’s terminal layouts. While the G will significantly increase its capacity by six trains per hour (plus every train will double its current length), it’s not clear where all those new riders will go. Some will take the free out-of-station transfer to the 7 just before Court Square, but most will likely try and make the in-station transfer at Court Square to the E or M, in which case the G will dump more passengers off than the increased service can carry. In the mornings, the crush at this junction may be particularly bad, but at least riders arriving from points east in Queens will already be on the train. The biggest problem for E/M riders will occur in the afternoon rush, when commuters planning to switch to the G have already taken up much of the space on the train, making it even more difficult for additional riders headed to eastern Queens to board. The picture of just how bad the L train shutdown will be for commuters is getting a little bit clearer. And it’s looking even worse. At first, NYC Transit president Andy Byford didn’t offer a specific number. “Rest assured, our intention is to utilize the J/M/Z lines,” he said. “We intend to use them to the max.” But another audience member shouted, “How many?! HOW MANY?” and Byford passed the question to Peter Cafiero, chief of operations planning, who relented: 24 trains per hour can travel over the Williamsburg Bridge. But 24 trains per hour, it turns out, is the absolute best-case scenario. “They can only achieve that if everything runs perfectly,” a source familiar with the planning told the Voice, on condition of anonymity for fear of losing their job. MTA planning documents obtained by the Voice note that “operational strategies [are] needed to maximize throughput,” which could include stationing extra trains along the route to slot in if a train is delayed or goes out of service, plus ensuring that train operators know the route perfectly and achieve the absolute maximum speed allowable under the current signal system. Yet these same planning documents show that even 24 trains per hour, if achieved, represents an increase of only three trains per hour over the current schedule. That’s enough to carry approximately 6,000 more riders per hour than currently possible. The L train, for comparison, carries almost four times that, or 24,100 riders per hour, across the East River. Considering the MTA expects a large proportion of displaced L riders — up to 80 percent by their estimates — to opt for subway alternatives, and a large portion of those riders to opt for the J/M/Z, it’s not clear how the J/M/Z can possibly carry all the riders that will be crowding its platforms. The problem stems from a stretch of the J/M/Z tracks between the Marcy Avenue and Essex Street stations on either side of the Williamsburg Bridge. Because the track has “S” curves on each side, trains must slow down to ensure they don’t derail. Even if the speed limit on the bridge were raised from the current 25 miles per hour, traffic jams would still form at the curves, much like when a car driver guns the engine in the middle of a city block, then slows again when getting to a red light. Unfortunately, there aren’t any other lines with extra capacity to pick up the slack. There are currently twenty L trains running under the East River per hour; during the shutdown, there will be the three extra J/M trains from Brooklyn, plus two more 7 trains (assuming its new signaling system is finished by year’s end despite being two years behind schedule) and three more M trains from Queens — but also two fewer R trains, in order to accommodate the extra M trains (the lines share track in Queens). The MTA will also be lengthening C trains, as MTA chairman Joe Lhota promised when he announced the Subway Action Plan in July, adding the equivalent of one and a half trains per hour. That comes to 12.5 fewer trains total, an overall reduction in capacity of approximately 25,000 riders per hour. This figure represents a big problem: It’s more riders than the MTA predicts will seek non-subway alternatives during the shutdown, meaning some number of people — roughly somewhere between 2,000 and 4,000 people per hour*, based on the MTA’s capacity estimates combined with information from the planning documents obtained by the Voice — may not be able to board Manhattan-bound trains during peak periods. But these numbers are very much in flux; the service plans are still being finalized and it’s hard to predict how commuters will react to the shutdown with any precision. The G, which according to the planning documents currently runs nine trains per hour during peak periods, will add the most capacity of all: three additional trains running the full route, plus three trains per hour running between Court Square and Bedford-Nostrand, where they will short-turn and head back north to Queens — and all G trains will be lengthened to eight cars, double their current length. This will increase service between Williamsburg/Greenpoint and the E, M, and 7 trains. But it’s important to remember that the G is just a means to an end for displaced L riders; nearly all of them will then be looking to cross the river via another line. So while the G can reasonably cope with the increased capacity, it is the transfer points and the other lines that will not be able to add nearly as much capacity that will suffer the most. During the town hall, Cafiero stated the priority is to run as many M trains as possible, while also accommodating as many J trains as possible over the Williamsburg Bridge. If this holds true, it means the MTA will target fourteen M trains per hour and ten J trains — the most that can run under that 24 train-per-hour limit imposed by the “S” curves. The math goes like this: 24,100 riders per hour during rush hours currently cross the East River on the L. The MTA estimates that between 20 and 30 percent of them — between 4,820 and 7,230 — will get to work by buses, bikes, or other non-subway means. Counting the longer C trains, the MTA will be adding the equivalent of 7.5 new trains worth of capacity, enough to accommodate approximately 15,000 passengers. That would leave between 1,870 and 4,280 commuters unable to squeeze onto trains at all. New York City’s subway system has become overcrowded and unreliable. The plan, called “Fast Forward,” would replace an antiquated signal system, redesign the way passengers pay fares, increase the number of subway cars, and install elevators at stations. The plan, called “Fast Forward,” would replace an antiquated signal system, redesign the way passengers pay fares, increase the number of subway cars, and install elevators at stations. It would also include station repairs, an increased number of buses, and redesigned bus routes. New York City mayor Bill de Blasio indicated that the city would not help pay for Byford’s plan, according to The New York Times. “It’s now fully understood that the responsibility for the M.T.A. resides in the state of New York, ultimately the governor,” he said. New York governor Andrew Cuomo replied to de Blasio’s statement, saying a lack of investment from the city would hamper subway improvements, The Times reports. “If that’s the case, then the real problem is you’re not going to be able to do anything significant to fix the subways,” Cuomo said. Decades of inadequate investment, an outdated signaling system, track fires, and overcrowding have contributed to the New York City subway system’s frequent delays. Transit projects in New York are far more expensive than those in comparable cities throughout the world partly because of generous compensation for workers and high costs from contractors, both of whom are allowed to negotiate their rates without input from any New York City agencies. You can read Byford’s full plan here. Vistra Energy Corp and Dominion Energy Inc — which serve about 5.5 million electricity customers in more than a dozen US states — both say they are done building combined-cycle natural gas-fired power plants. Instead, they are building large solar plants, which offer plentiful and inexpensive electricity. This bearish view of fossil-fuel energy, reflective of a growing acceptance by utilities of renewable power sources, poses a hurdle to John Flannery’s plan to turn around General Electric Co’s US$35 billion-a-year power unit. With electricity prices trending downward, utilities are increasingly unwilling to risk capital on a new plant unless then can lock in a long-term price, executives said. “Building new large, combined-cycle gas plants is challenging without the stability of a long-term power contract,” said Timothy Menzie, chief executive officer of InterGen, an international power generation company. GE faces a further challenge: long-term erosion of the large base of plants it services. After acquiring the Alstom power business in 2015, GE has a base of customers that produces one-third of the world’s electricity. Long-term contracts to service those plants bring GE billions of dollars in annual revenue. But as utilities close older coal and gas-fired plants, the revenue growth from services is under pressure. Wind and solar can cost as little as US$18 a megawatt hour, compared with US$40 for a large gas plant, said Mikael Backman, North America regional director at Wartsila Energy Solutions, part of the Finnish company that makes quick-start natural gas-fired generators. Across much of the United States, some utilities now buy all the cheap renewable power they can on electricity markets and use quick-start gas engines to fill in when wind and sun falter. In California, regulators have put on hold a project that planned to buy one of GE’s large natural-gas turbines while Southern California Edison, which planned to buy the power, studies using wind and solar instead. The shift from fossil fuels stretches beyond states like California, which is aggressively switching to renewable power. In oil-rich Texas, wind and solar now provide 21% of the state’s electricity. Utilities there are shutting down the equivalent of about 20 average-sized coal plants this year, according a Reuters analysis of data from power system operator ERCOT. Out of 183 power-generation projects on the drawing boards, only four would run on fossil fuels, ERCOT said. The rest are wind and solar. ExGen Texas Power, an affiliate of Exelon Corp, filed for bankruptcy protection in November for five natural-gas plants, the second such bankruptcy in Texas last year attributed to low power prices. GE supplied parts and service to several of the plants, according to the bankruptcy filings. Reuters could not determine whether the contracts will remain in effect. In Virginia, Dominion Energy ended several maintenance contracts it had with GE this year when it mothballed a large gas-fired plant built by companies GE later acquired and idled seven other coal and natural gas units in the state. Dominion aims to build 4,720 megawatts of solar by 2033, the equivalent of about five large combined-cycle power plants. It is opening a new combined-cycle natural-gas plant in Virginia this year, built with GE and Mitsubishi equipment. It said it has no current plans to build more such plants. BERLIN – A full buildout of the website for the upcoming CTrail Hartford Line passenger rail service is now live. Accessible at hartfordline.com, the website provides future riders with information on the service’s launch on June 16. When service begins, 17 trains will run between New Haven and Hartford, with 12 of them continuing on to Springfield, Mass., up from six trains previously run solely by Amtrak. Amtrak trains and trains specifically designated for the Hartford Line will travel up to 110 mph. A trip from New Haven to Springfield will take 81 minutes. Service will be free on June 16 and June 17, with full weekday service starting June 18.